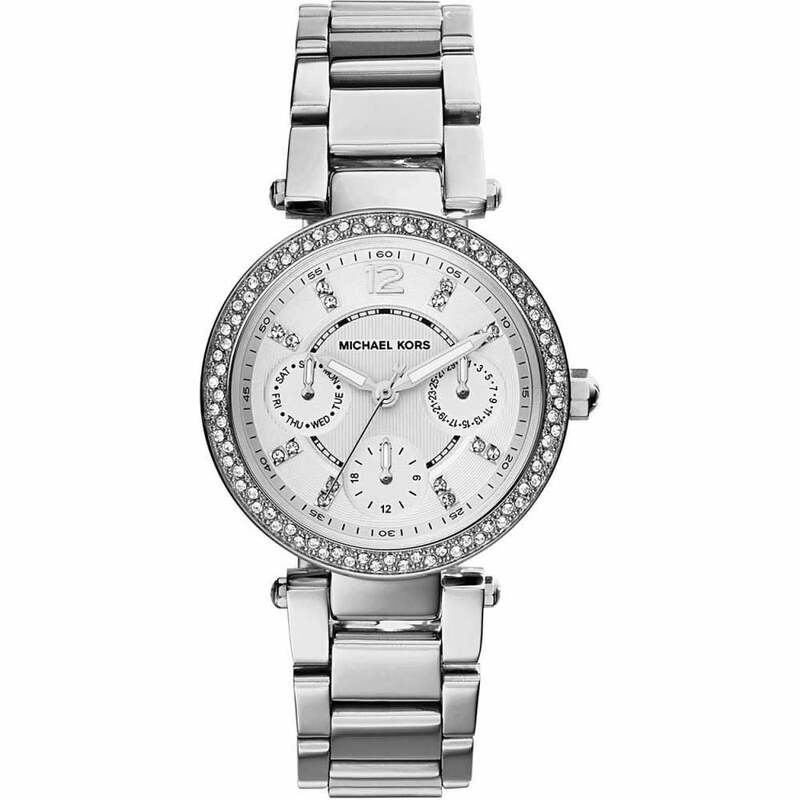 A smaller version of the very popular ladies Michael Kors Parker range. This watch may be smaller however it has lots of personality. The chronograph on the larger models is replaced by day/date and 24 hour sub dials. The elegance is still kept intact and it still has the stunning stone set outer bezel and hour markers to match.